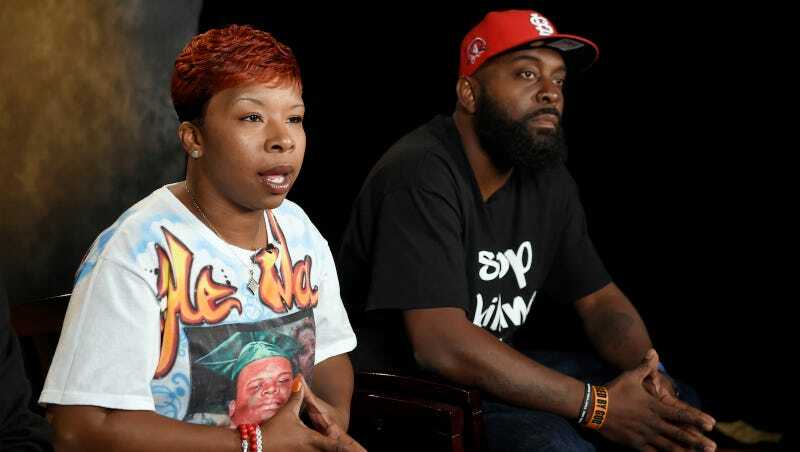 On Tuesday, the civil case brought by Lesley McSpadden and Michael Brown Sr., parents of Michael Brown, was settled. Brown was shot and killed by Office Darren Wilson in 2014 in Ferguson, Missouri. Wilson was not indicted for Brown’s murder, and the case sparked nationwide protests against police violence and institutional racism in police departments everywhere. In April 2015, McSpadden and Brown Sr. filed a wrongful death suit against the city of Ferguson, former police chief Thomas Jackson and Wilson, according to The Washington Post. NPR reports that the suit stated Wilson “unjustifiably shot and killed” Michael Brown and that he used “an unnecessary and unreasonable” amount of force. The lawsuit has been settled and approved by U.S. District Judge E. Richard Webber. However, the settlement amount has been sealed. Disclosure of the terms of the settlement agreement could jeopardize the safety of individuals involved in this matter, whether as witnesses, parties, or investigators. The public policy to consider records open is outweighed by the adverse impact to Plaintiffs,” he wrote. The publication said an insider estimated the amount as being close to $3 million divided between them.